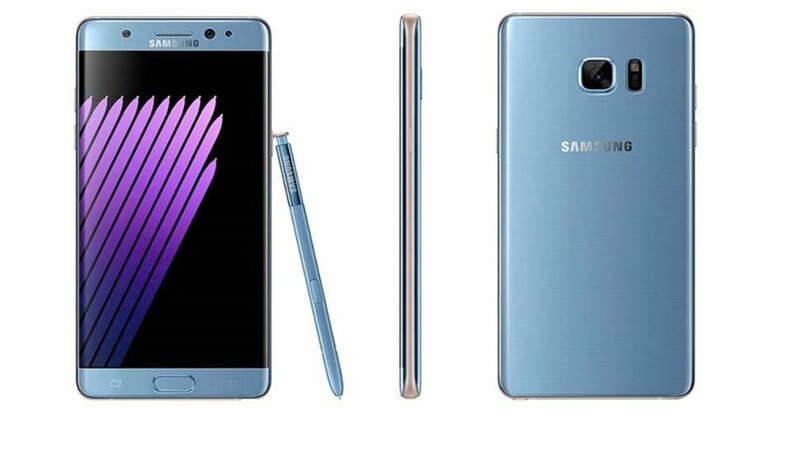 NEW YORK (WABC) -- Samsung is recalling almost one million Galaxy Note 7 smartphones. 800,000 of those phones were sold in the U.S. so what do you do if you own one? First, consumers should immediately stop using and power down the recalled phones. Next, , CPSC wants you to look for the number that is on the back of every phone. That's called the IMEI number. Enter the IMEI number into the online registration site at www.samsung.com or call Samsung toll-free at 844-365-6197. If it does, you should contact your wireless carrier or place of purchase, call Samsung toll-free at 844-365-6197 anytime, or go online at www.samsung.com.They are either eligible for a new phone or a refund. The customer can choose which remedy they want. The recalled devices have a 5.7 inch screen and were sold in the following colors: black onyx, blue coral, gold platinum and silver titanium with a matching stylus. Samsung is printed on the top front of the phone and Galaxy Note7 is printed on the back of the phone. The CPSC ordered the formal recall of the Samsung phones after 92 reports of the batteries overheating in the U.S., including 26 reports of burns and 55 reports of property damage.